In a medium sized bag, shake the flour with the S&P and then put the veal pieces in it and shake some more to coat them all evenly. In a heavy deep skillet, add the olive oil and heat. When heated, add the stew meat and brown on all sides (about 5-8 minutes). When meat is browned, add the onions, celery, hot water, wine and thyme. Simmer stove stop with a tight lid for 1 ½ hours. 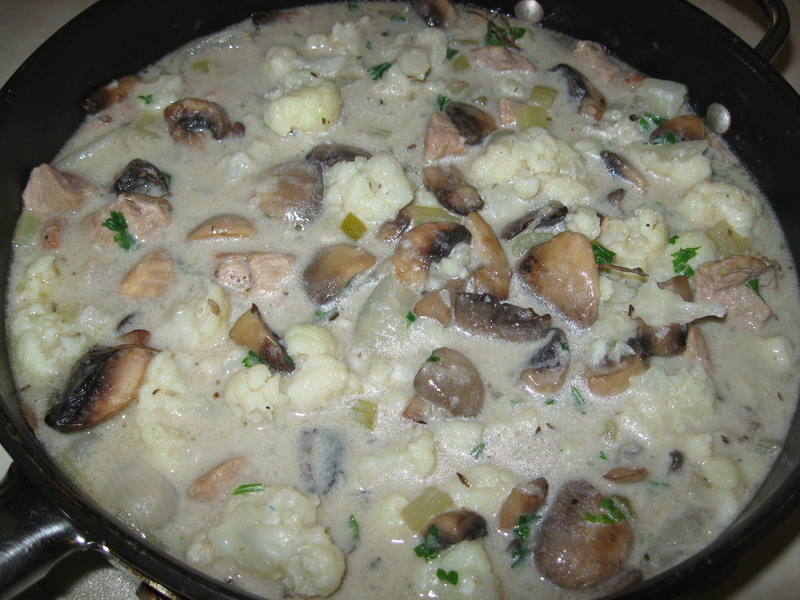 After 1 ½ hours, add the cauliflower and simmer for 1/2 hour more. Before the stew has finished simmering for the 2 hours, in another skillet, add and heat some butter so that you can brown the mushrooms. 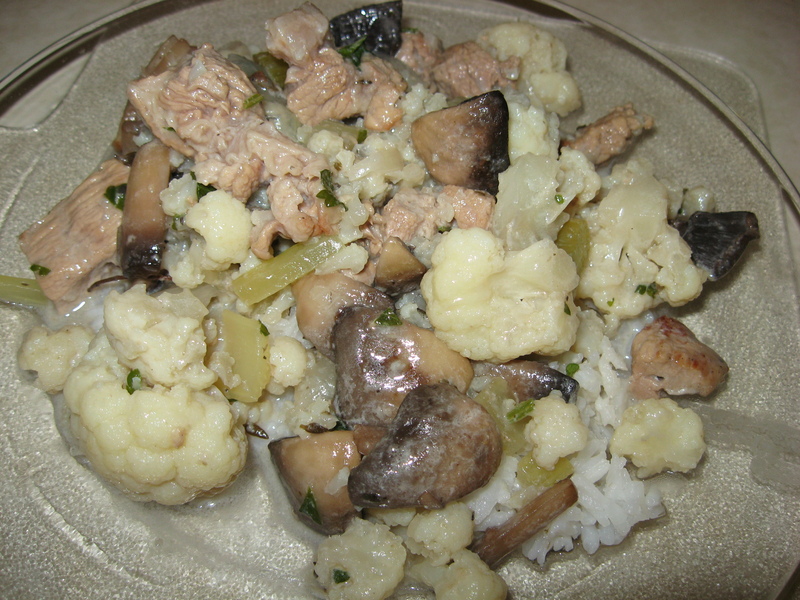 When the stew is cooked and the mushrooms browned, add the mushrooms to the stew along with the sour cream and parsley. Stir so that the mixture is well blended BUT DO NOT LET BOIL!! This is excellent over rice or noodles.